All County always strives to lead the pavement industry in new ideas and innovation. 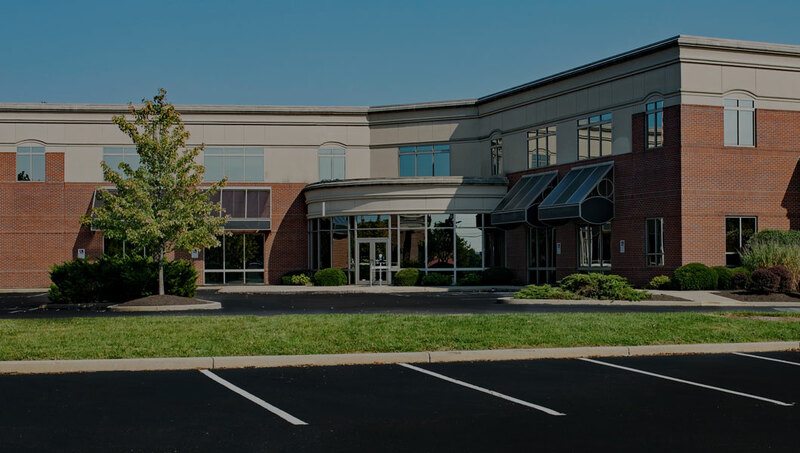 We accomplish this not only through our parking lot management services, but also through our industry-leading achievements. With the green building movement sweeping the nation, All County is once again pioneering the way to better paving practices by offering eco-friendly alternatives in addition to our existing line of conventional products. Solar Reflective Coatings – This solar protective coating is a premium quality, highly pigmented, polymeric surfacing system designed for heat reduction of parking surfaces. The product is formulated with infrared reflective pigments to reduce solar absorption, increase reflectance and achieves a desired solar reflectance index (SRI) of up to 40%. It contains no PAHs, has an extremely low VOC content, is fuel-resistant and is non-fading. Permeable Pavers – These are interlocking blocks are designed with open areas or channels so that water can drain through the surface into a stone recharge bed and infiltrate into the soils beneath. Permeable pavers are installed rapidly using a mechanized process. The bricks support heavy loads and help to maximize groundwater recharge. When properly designed and installed, permeable pavers can provide parking lots with a life span of more than 20 years. The pavers are LEED® compliant. Pervious Concrete – Similar in appearance to conventional concrete pavement, pervious concrete is manufactured without “fine” materials and void spaces are incorporated to allow infiltration. This solution eliminates the need for costly underground filtration systems and reduces the need for snow plowing and salting. Its non-slip surface prevents potential hazards. It filters just like natural grass and eliminates toxic run-off. This material is LEED® compliant. Porous Asphalt – This type of asphalt allows water to drain through the pavement surface into a stone recharge bed and infiltrate into the soils below the pavement. With the proper design and installation, porous asphalt can provide cost-effective, attractive pavements, and at the same time provide stormwater management systems that promote infiltration, improve water quality, and many times eliminate the need for a detention basin. Agricultural Oil Seal & Preservation Agent– This pavement maintenance solution is 88% bio-based and contains no petroleum, making it a uniquely sustainable alternative designed specifically to maintain and preserve asphalt pavements. Some benefits of the product include: curing time of 30 minutes or less, no tracking, cost effective, reduces moisture penetration, and it is carbon negative. Fly-Ash – Fly ash use improves concrete performance, making it stronger, more durable, and more resistant to chemical attack. Fly ash use also creates significant benefits for our environment. Use of fly ash — a recovered resource — reduces depletion of natural resources. It also reduces the energy-intensive manufacturing of other concrete ingredients, leading to savings in both energy usage and emissions of greenhouse gases. Fly ash is comprised of the non-combustible mineral portion of coal consumed in a coal fueled power plant. Fly ash particles are glassy, spherical shaped “ball bearings” — typically finer than cement particles — that are collected from the combustion air-stream exiting the power plant. Slag – Slag cement is the co-product of a controlled process, iron production, which results in a very uniform composition from source to source. Slag cement is commonly found in ready-mix concrete, precast concrete, masonry, soil cement, concrete wallboard, floor leveling compounds and high temperature resistant building products. Its measurable benefits in concrete include improved workability and finishability, high compressive and flexural strengths, and resistance to aggressive chemicals. Photocatalytic Concrete – Photocatalysts accelerate the chemical reaction whereby strong sunlight or ultraviolet light decomposes organic materials in a slow, natural process. When used on or in a concrete structure, photocatalysts decompose organic materials, biological organisms, and airborne pollutants. Dirt, soot, mold, bacteria and chemicals that cause odors are among the many substances that are decomposed by photocatalytic concrete. These compounds break down to have a minimal impact on the environment. Photocatalytic concrete has other environmental benefits, such as reflecting much of the sun’s heat and reducing the heat gain associated with dark construction materials. This keeps cities cooler, reduces the need for air-conditioning and reduces smog. Coatings – A wide variety of concrete curing, coating and sealing agents are available to improve the performance of your concrete surface. These agents are both economical and environmentally friendly and may even qualify for LEED® credits. Concrete Repair Agent (C-Patch) –This concrete repair agent is for concrete surface cracks, chips, and spals. It is used on spals, cracks, chips, curbing, gutters, aprons, and all other concrete surfaces. This product will bond to all solid concrete surfaces as well as rebar. Made of high tensile strength concrete, fiber, polymers, and micro-aggregate, it has a quick cure time of approximately 3½ to 4 hours in daylight and 6 hours at night. It is formulated to provide a smooth, complete, fast curing, permanent concrete patch, is easily mixed and applied to repair all types of concrete damage, and works like conventional concrete and may be troweled to a flush, smooth finish on all surfaces. Reclaimed Asphalt Pavement Millings Restoration Agent – This solution allows you to convert reclaimed asphalt pavement, or RAP, into “new” asphalt paving material. There is no heating involved, and no additional oil, cutback, or polymers needed for the process. It is easy to use, easy to mix, it will not ravel, there is no tracking like conventional asphalt, and it has an ultra-low carbon footprint. Warm-Mix Asphalt – Warm-mix asphalt is the generic term for a variety of technologies that allow the producers of hot-mix asphalt pavement material to lower the temperatures at which the material is mixed and placed. Reductions of 50 to 100 degrees Fahrenheit have been documented. Such drastic reductions have the obvious benefits of cutting fuel consumption and decreasing the production of greenhouse gases. 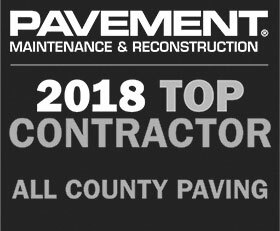 High RAP (Reclaimed Asphalt Pavement) Content –This is the term given to removed and/or reprocessed pavement materials containing asphalt and aggregates. These materials are generated when asphalt pavements are removed for reconstruction, resurfacing, or to obtain access to buried utilities. When properly crushed and screened, RAP consists of high-quality, well-graded aggregates coated by asphalt cement. The utilization of high RAP has the greatest economical, environmental, and engineering impact in pavement recycling. Low VOC Striping Paints – Fast drying, highly durable and dirt resistant, these striping paints are VOC compliant below 150g/liter. They cure consistently regardless of ambient temperature. Rubber Parking Curb – Made from 100% recycled rubber, these parking curbs will not warp, chip, crack, or rot, effectively eliminating the need for maintenance. They install with ease by one person. These curbs are highly visible at night, reducing the risk of damage to vehicles or personal injury.